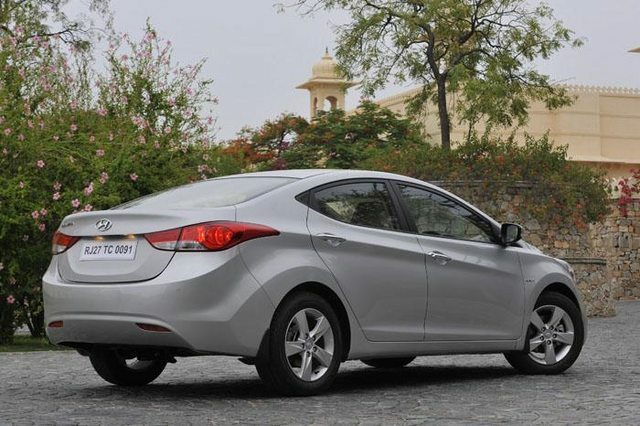 We’ve just got our hands on Hyundai’s new Elantra in Udaipur and first impressions are very promising. Like the Verna, this car looks stunning in the flesh and has the potential, if priced right, to shake up established players in the segment. Forget the two-generations-old Elantra sold here earlier, this car is at a completely different level. Like all recent Hyundais, the new Elantra follows the fluidic design theme. The swoops and flowing lines are easy on the eye, the elongated body gives it an extra dash of elegance, and when viewed from certain angles, it looks like a stretched Verna. Still there’s no doubt, this is probably Hyundai’s best-looking three-box yet. It is bigger than the Verna of course, and is 4.53 metres long, making it about the size of a Skoda Laura. The wheelbase however is much longer at 2.7 metres and that, of course, means there is plenty of space in the cabin, even in the back. The rear seat is very supportive, the floor is flat and levels of comfort are high, but the swooping roof indicates that headroom could be an issue for taller passengers. And you do feel a bit hemmed-in on the back seat due to the high waistline of the car and the low roof. Quality levels however are higher than those of the Verna, especially on the dash, and as expected there’s more equipment here than on many luxury cars. On the top-end version you get ESP, six airbags, powered and ventilated seats, dual-zone air-conditioning, audio control for rear seat passengers, cruise control and even heated mirrors. The fifth-generation Elantra (codename: MD) comes powered by a 126bhp 1.6-litre diesel and a 146bhp 1.8 petrol. The diesel is the same as on the Verna and feels just as smooth and refined. Overall performance is quite strong and it pulls well once on the move. There is a bit of turbo lag however and this could be mildly irritating in traffic. The Elantra also does not feel as quick as something like a VW Jetta, despite also having a six-speed gearbox. The petrol motor has decent performance but when worked hard, it sounds gruff and feels a bit strained. We drove the 6-speed automatic car and found the gearbox a bit slow to respond. Also, it hangs on to higher gears a lot. 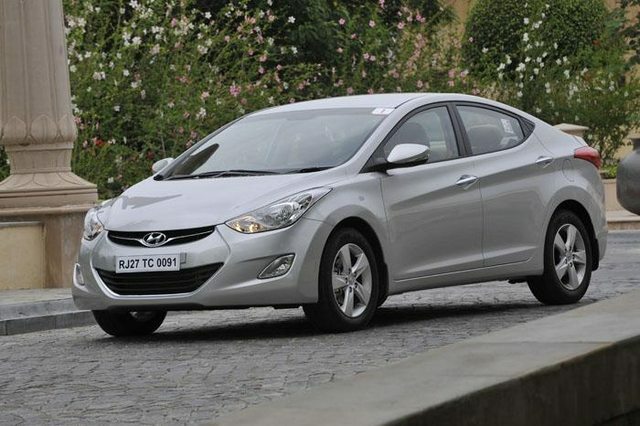 The petrol Elantra is fairly quick, but it doesn’t feel exciting. The new Elantra is not as agile or as confidence-inspiring a handler either, and the steering, like on the Verna, feels light and disconnected. The rear is softly sprung and this is soon pretty clear, this car is better suited to being driven at a more relaxed pace. The flipside however is that the Elantra rides pretty well on its 205/60 R16 tyres. 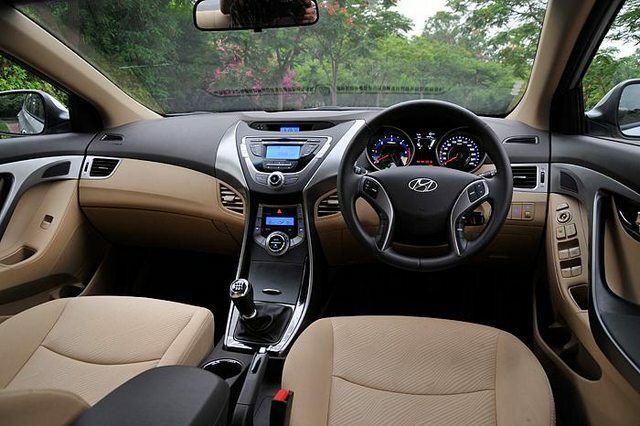 Attractive, well equipped, very refined and comfortable, Hyundai’s all-new Elantra has a lot going for it. Expected to come in at an aggressive price of between Rs 13-16 lakh, Hyundai is likely to have another strong seller on its hands. Click http://www.autocarin...2012.aspx/1#pic to see the full photo gallery. Thanks for the awesome review. Hyundai might just have a winner on its hands with this one. I love Hyundai's new design philosophy. Its looks great and is loaded with features but then which Hyundai isnt? If it is launched a nice price, the others will be worried. But I do feel the diesel should have had a little more power. And handling has never been a virtue of any Hyundai for that matter. Anyways this is a car worth waiting for. One question. Are they offering an AT box in the diesel ? I think yes. Spec sheet says Transmission choices common to both engines.. ie 6M/6A. Is a 6A/T box being offered in the Diesel trim because in Verna it is a 4 speed one . Why would Hyundai engineer to put a 6 speed box for it . The pricing is the key to success and a top end varient diesel for 17 lakhs on road will be considered as a VFM (verna top end is 13). Though I think Elantra will suffer with identity crisis with Verna like the Jetta looks like a Vento and even from the front I need to look twice to note that it is a Jetta not a Vento. Though I was hoping for a 2.0 CRDi engine with 150 bhp output but this will be good enough. Also now Hyundai should be serious about the Sonata and debut launch the 2.2lt CRDi for India and Europe. Excellent head turner on the Road. I must say Hyundai has beauti on its hand which may bring lots of Corolla/Civic/Laura customers towards them. Hyundai has launched its all-new Elantra saloon with four diesel and three petrol variants. Prices for the base diesel variant start at Rs 12.91 lakh to Rs 15.85 lakh, whereas the base petrol variant starts at 12.51 lakh and goes up to Rs 14.85 lakh (Ex-showroom, Delhi). The top-end variants will come equipped with ventilated seats, audio controls for the rear passengers, hill-start assist, dual-zone air-conditioning, cruise control and even heated mirrors. The Cruze, Jetta and Laura definitely have their work cut out, especially with the festive season coming up and the government, yet again wanting to increase fuel prices. 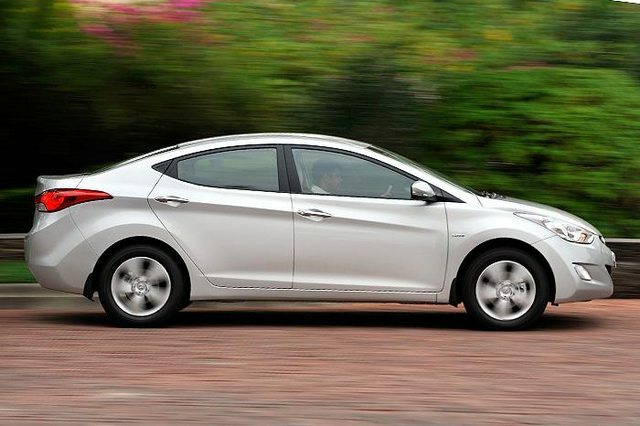 The features offered on the Elantra top the features seen on vehicles that are multiple price bands/segments above. The only change I would've expected was for them to bring in a meatier diesel engine, rather than carry over the one from the Verna, without any change. Then again, I'm sure that decision was made keeping pricing and FE in mind. Need some advice with the same as my younger brother is planning to make a purchase in the coming festive season.